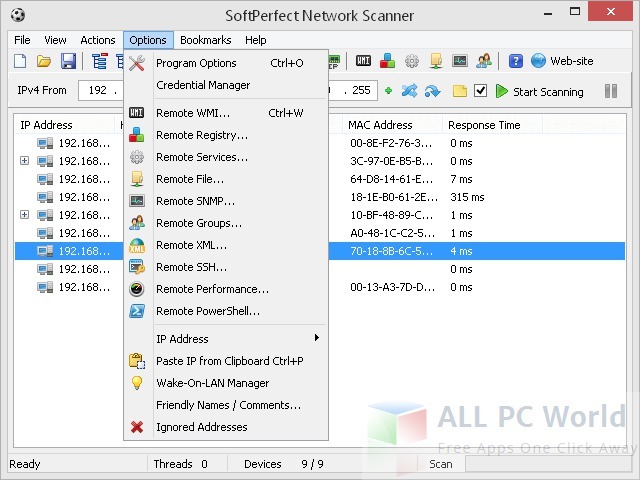 SoftPerfect Network Scanner is a network analysis tool which judges the state of the network and informs about the information on the network. 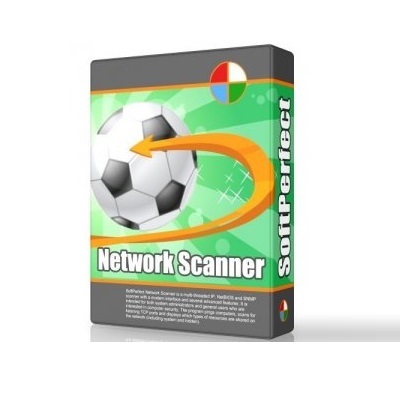 This free download is a standalone tool for Network scanner for Windows 32bit and 64bit. As the system administrators know almost everything on the network but, they don’t have some magic wand or some special powers which tell them about the network state and information. All of them make use of some set of tools for analyzing the network. Networking is not only limited to the IT professionals, you can also analyze your home network with some technical information and some tools like WireShark etc. Checking the network state is a bit tricky if you don’t have appropriate network analysis tool. It is a multi-threaded SNMP, IP, NetBIOS scanning tool with many advanced options. It provides a friendly easy to use interface with simple understandable buttons. It detects the IP addresses and MAC addresses along with their respective Hosts and response time. Send ping messages to the connected devices, open computers using FTP, Telnet, normal or Secure Web and others. Access shared folders and use them as network drives, check the ports status, resolve hostnames, and a lot of other operations. It also allows changing the default settings and export the scan results. Click the below link to download the standalone installer for Windows 32bit and 64bit. It is compatible with all the new versions of Windows.